The update weighs 105.11MB in size and is released as an OTA. 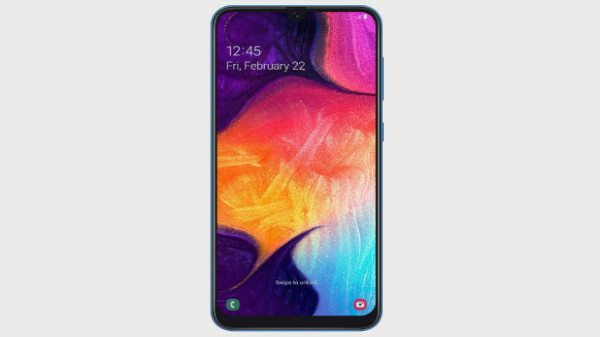 Samsung Galaxy A50, the latest mid-range smartphone by the South Korean tech giant was launched recently in the Indian market. The smartphone has been launched along with the Galaxy A30 and Galaxy A10, both of which are affordable offerings by the company. It has been only a few months since the smartphone's official lunch and it already has scored some updates for improved performance. Now, the Galaxy A50 is again receiving a firmware update which fixes some bugs. Like the other firmware updates, the latest update for the Galaxy A50 is also rolling out as an OTA (over-the-air). The update weighs 105.11MB in size. The Samsung Galaxy A50 users will be receiving an update notification for the update. Notably, the update bounces the firmware build to A505FDDU1ASC7. If in case the update notification does not show up on your Galaxy A50, then, you can check for it manually. To do so, go to the Settings tab and look for Download updates manually under the Software update section. As for the changelog, the latest update brings a fix for the Smart View feature and also fixes connectivity issues. Just to recall, the primary highlight of the Galaxy A50 smartphone is its triple lens rear camera setup and a powerful processor. The rear camera of the smartphone consists of a 25MP main lens accompanied by an 8MP ultra-wide angle lens and a 5MP depth sensor. At the front, there is an 8MP lens for selfies and video calling. The display up front is a Super AMOLED panel which measures 6.4-inches in size and has a U-shaped notch for the front camera. The display offers a screen resolution of 1080 x 2340 pixels and has an aspect ratio of 19:5:9. The smartphone is powered by an Exynos 9610 processor with 4/6GB RAM and 64GB storage which is expandable via microSD card. To keep the lights on, there is a 4,000mAH battery with fast charge support.